Phil Mintz is the Executive Director of NC State Industry Expansion Solutions (IES) and Director of the North Carolina Manufacturing Extension Partnership (NCMEP). At NCMEP, Phil drives outreach to NC manufacturers, builds relationships with federal and state leaders and coordinates efforts to drive profitable manufacturing growth in the state. He also leads the broader IES Extension Operations outreach unit of regional managers, technical specialists and business development leaders providing business engagement, assessment and improvement tools. 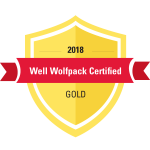 This includes statewide peer networks, ISO 9000 quality management systems, Six Sigma, Lean manufacturing, environmental services, and health and safety solutions. The unit also serves the healthcare and government sectors, in addition to manufacturing. Phil has 25 years of manufacturing and engineering experience, including 10 years as an IES Regional Manager and specialist in quality management and Lean Six Sigma services. 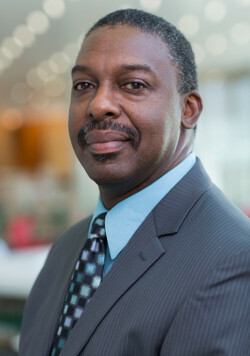 Before joining IES, he held posts as an industrial and systems engineer and engineering cost specialist for clients including the US Navy Procurement Office in Norfolk, VA; Lockheed-Martin Engineering and Sciences Company at NASA Langley Research Center in Hampton, VA; and Westinghouse Electric Corporation’s Electronic Systems Division in Baltimore, MD. He has developed plant layouts for cellular manufacturing applications, created and adjusted work standards for electronic manufacturing processes, and developed and evaluated product/process changes for improved production and maintenance support. Phil has a B.S. degree in engineering operations from North Carolina State University and an MS in industrial engineering from North Carolina A&T State University. Outside of his work, Phil enjoys watching and participating in sports, including golf and activities with his two sons. He is a youth basketball coach for the YMCA and supports various church and community activities.